The Premier League transfer window has already shut but deals can still be completed around Europe and in the Football League. Teams outside England’s top flight are able to make loan deals until 17:00 BST on Friday, while the window in Spain, Germany, Italy and France also closes on the same day. The summer arrivals of Arturo Vidal and Arthur provides competition for Rakitic in the middle of the park at Barcelona. With Frenchman Adrien Rabiot’s future in question at Paris St-Germain, the Ligue 1 champions are eyeing up the Croatia international and are reportedly willing to activate his £112m release clause. Germany international defender Boateng’s chances of staying with the Bundesliga champions were rated at “50-50” by the club’s president Uli Hoeness. The former Manchester City player was linked with a move to Manchester United in the summer, but Ligue 1 may be his next destination. Former Manchester United midfielder Kagawa did not feature in Dortmund’s opening game victory over RB Leipzig and is reportedly not part of new manager Lucien Favre’s plans. 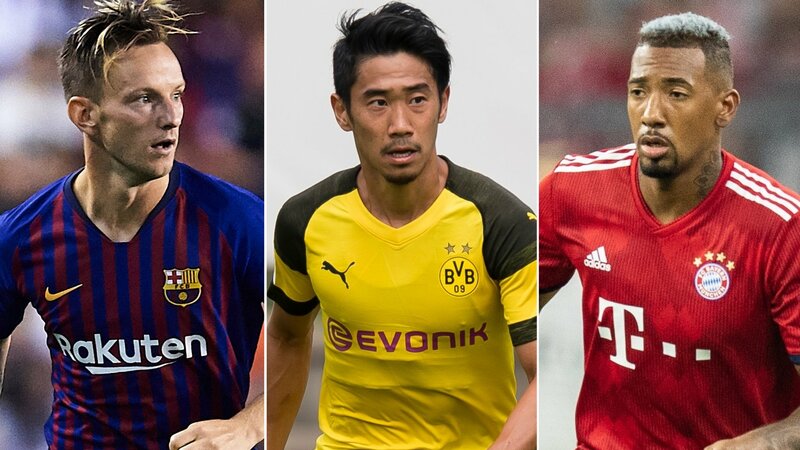 With new signings Axel Witsel and Thomas Delaney coming in, the Japan international playmaker could depart the Westfalenstadion on deadline day. Italian midfielder Marchisio had his contract at Juventus terminated by mutual consent this summer and is looking for a new club. Porto and Benfica have been linked, although clubs in Portugal have until 21 September to complete deals. Yes, he is still a Liverpool player. The Serb joined the Reds from Benfica for £20m in 2014, but has not played for the club since 2015. Loan spells at Fenerbahce, Sporting Lisbon, Hull and Anderlecht have followed and the 24-year-old could finally leave the club with Greek side PAOK heavily linked. Loftus-Cheek spent last season on loan at Crystal Palace, where his performances earned him a place in England’s World Cup squad. With Jorginho, N’Golo Kante, Ross Barkley and Mateo Kovacic ahead of him in the pecking order at Stamford Bridge, Loftus-Cheek may want to look for another move away. Real Madrid could look to bring in a left-footed centre-back if Jesus Vallejo leaves – and Hermoso looks to be the number one target. Hermoso joined Espanyol for £360,000 last season and Real have an option to buy back the player for a reported £13.5m. Championship side West Brom are likely to make a move or two after selling winger Nacer Chadli to Ligue 1 side Monaco for £10m. Although Baggies boss Darren Moore cannot buy a replacement for the Belgium international, he can make loan signings with a commitment to buy at a later date. Middlesbrough will also be active. Manager Tony Pulis has confirmed they are close to the loan signings of midfielder George Saville from Millwall and winger Jason Puncheon from Crystal Palace. Denmark winger Martin Braithwaite has asked to leave the Riverside, with Spain a likely destination. while there is interest in Aston Villa defender Tommy Elphick from Hull and QPR. Both Sheffield Wednesday and Ipswich want to sign defender Danny Batth from Wolves.